Most graphics cards connect to the motherboard of your computer and its main utility is to display images on the monitor . The current ones are able to accelerate the creation of three-dimensional images as you see in games and video playback. The first graphics cards just had to show text. The thing is complicated a little more when the use of graphics is generalized. In a short time we went from having four unique colors with the famous CGA cards, to the 16.7 million of the current models. The technology of these devices has evolved in a way coupled with that of games. Because they are the users of these types of programs the most willing to invest money in this element. It was not until the appearance of the first games in 3D that the graphs did not undergo a considerable improvement. Unfortunately, creating three-dimensional worlds is very expensive for a single micro. The creation of this type of images can be done concurrently. That is to say, while you are creating a zone you can calculate another one of the same screen. With the advent of graphics cards manufacturers include hundreds of processors specializing in the same chip for 3D image processing. You can then create games with increasingly complex environments. In principle therefore the graphic cards were elements that were included independently in the equipment. But not all users have the same needs. The owner of a laptop , for example, needs a card that consumes little power, does not spend its battery, and takes up little space. Also, most people do not use their PC to play games with complicated three-dimensional scenarios. For these reasons integrated graphics cards appear . It is decided to include the chip on the motherboard but taking away certain functionalities, occupying less space and having a lower consumption. A conventional graphics card that wants to run graphics accelerator needs a lot of memory. This stores both the images to be displayed and the textures of objects. In the case of an integrated card uses the RAM of your PC this makes this type of cards can slow down your computer. The next step was the logical one. Using current cards not only for games, they can also speed up video playback and processing. As with 3D imaging, these types of utilities take advantage of the ability to process information concurrently. The evolution of the cards collides with that of the processors. Due to the improvement of manufacturing technologies, it is easier to create processors with a greater number of functionalities. This can be seen clearly in Intel’s microcomputers such as Sandy Bridge or AMD Fusion where a graphics card is included inside the CPU. Discreet. These are the most common ones you can find on a desktop PC. They connect directly to the motherboard through an expansion port. It is also common to find configurations with several cards as you can get thanks to SLI or Cross Fire . Built-in motherboard. Very common in laptops and netbooks, the functionality now gives us a chip that is on the motherboard and although they may contain some memory will normally use the computer’s RAM. Integrated into the processor itself. They are in the new micros which make use of the RAM of the equipment. It is clear that this is the future but we are before the first steps of this technology. UMA is the acronym for Unified Memory Architecture or Spanish shared memory architecture. So we talk about a UMA graphics card when it shares the computer’s RAM with the processor . The use that makes memory card graphics is very important especially in games. In these we move through complicated three-dimensional worlds which need a lot of memory both to add each detail and then show them. What types of graphics cards do UMA implement? Discreet. These include the memory with which they work on the same device. So we are not talking about UMA architecture in no time. Built-in motherboard. These devices have a chip which is responsible for performing the tasks of the card but is located on the motherboard. There are some that add memory on the board itself and those that use the computer’s RAM to function. Integrated in the microprocessor itself. The latest technological innovation. Thanks to the improvements in the manufacturing processes, it is possible to create smaller elements which allows to add more functional blocks in the same chip. For now no memory is included inside the processor for these cards and therefore the device has to use the RAM to do its job. In short if the card is integrated you will normally have to use the computer’s RAM to perform its calculations. What are the characteristics of this architecture? The closer this memory to a processor the access to it will be faster. Using the processor memory itself causes the entire system to slow down. The cards that implement the UMA architecture will therefore be slower since the ability to transfer information is much smaller. Add to this that we remove memory from the computer and gives you as a result that you will not be able to work with the same number of applications as if you used a discrete one. VGA. Developed by IBM. Very sensitive to both interference and cable length. Their biggest disadvantage is that they do not include the audio signal. You need an additional cable to connect to a TV and watch videos or movies. DVI. First standard for fully digital PC. This makes it more resistant to interference. There are several connectors under this name with different features and some are even capable of carrying audio. HDMI. The higher resolution screens require a connector that can carry the signal without loss of quality. In this case the audio signal is incorporated. Display Port. Capable of including audio and video. It can be used to connect multiple monitors and include stereoscopic 3d signals that is no more than two signals, one different for each eye to create the three-dimensional effect. Thunderbolt. Thunderbolt is based on Displayport, specifically on the mini display port. You can connect external PCI Express devices with the same features as if they were inside the box. The graphics card, like all the elements that compose a current PC, has been evolving over the years. The first ones only showed a color, well really two if we count the one of the bottom. It would not be long before they were able to work with four, then with 16, then with 256 and finally with 16 million colors, thus reaching up to the maximum capacity that we humans are able to distinguish. The improvement of color, as it could not be otherwise, is accompanied by increasing resolutions. Connect more colors to more pixels and you’ll need more computing power to work with them. Gradually the graphics in the PC acquire more importance. Leaving behind the first operating systems that used only characters and we find rich graphical interfaces. All of this processing is initially managed by the processor , so that the performance of all the equipment suffers. It is necessary to fix this problem and for this are added functional blocks inside the graphics card itself. In this way, the graphics of the windows and icons are accelerated allowing the micro to be freed from that workload. One of the most important moments in the history of these components was the appearance of 3D games. These were becoming more real which means that we need more calculation power to play them in a smooth way. The PC micros are simply not ready for this task and find in the graphics card the perfect ally to unload them from that work. The next step was to add the ability to speed up movie playback in high definition. This is due to the arrival of higher quality video formats which makes the processor just have trouble displaying them. It is solved by adding functional units dedicated especially to accelerate this type of operations in the own cards. Finally and given the characteristics of these devices, ideal for performing calculations in parallel is thought to be useful to work with other programs where the traditional processor suffers. In this way, it becomes an important element in scientific environments, although these new functionalities serve to accelerate other tasks such as digital photo processing, video coding or three-dimensional imaging. What is a discrete graphics card? The discreet cards are the first to appear, in principle not even used that name since they were all the same. They are connected directly to the motherboard . They have a dedicated memory to perform their calculations, and include on the back the connectors. One of its advantages is that being an independent element you can update it without having to buy a new equipment. 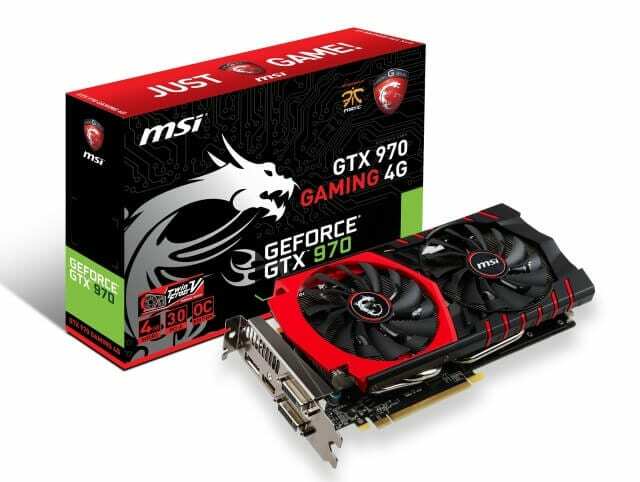 What is an integrated graphics card? Thanks to the constant improvements that are made in microchip manufacturing technologies, smaller devices can be created every time. This leads manufacturers to include the graphics card in the motherboard itself. In this case, unlike a discrete one, to update the card you will need to change the entire motherboard. Another disadvantage is that these devices need to use your computer’s RAM to function. Having to share it with can yield drops because the team will have less quantity available for the programs. What is an integrated microprocessor card? It was the next step. Both AMD with Fusion and Intel with Sandy Bridge, have made changes in their internal architecture giving rise to some micros that include in the same chip of the processor an integrated graphics card. The motherboard will be in charge of implementing the connectors to the outside. This makes you even more limited in case you need an update than with a graphics card integrated in plate since you will have to change micro and plate. What is an external graphics card? Think of a laptop or laptop. If you use its discrete graphics power all the time the battery will last much less. For this reason external graphics cards appear. This is where the video connectors are located. They are ideal for laptops, because you save energy, but can be very expensive. Which one suits you more? The fundamental difference is the upgradeability and performance they are able to deliver. If you are one of those who like 3D games and have your computer with the best components choose a discrete graphics card. 1 What is the graphics card?